World-renowned manufacturer Bif Bang Pow! 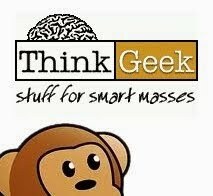 has announced a new partnership with Warner Bros. Consumer Products with Warner Bros. Animation (WBA), to release a series of new products from the upcoming animated comedy series Mike Tyson Mysteries™, which is premiering this fall on Cartoon Network's Adult Swim block. Bif Bang Pow! 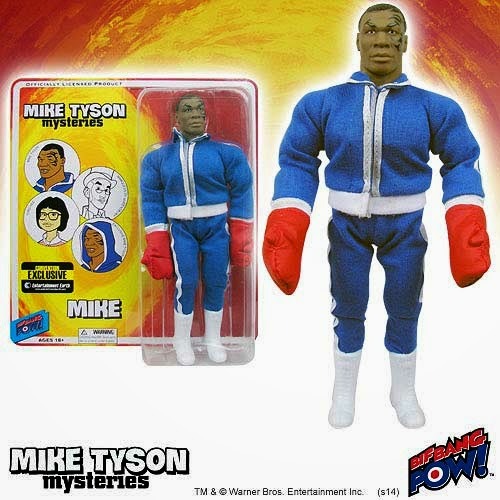 is proud to add the Mike Tyson Mysteries collection of action figures to its ever-expanding lineup of iconic products. Bif Bang Pow! 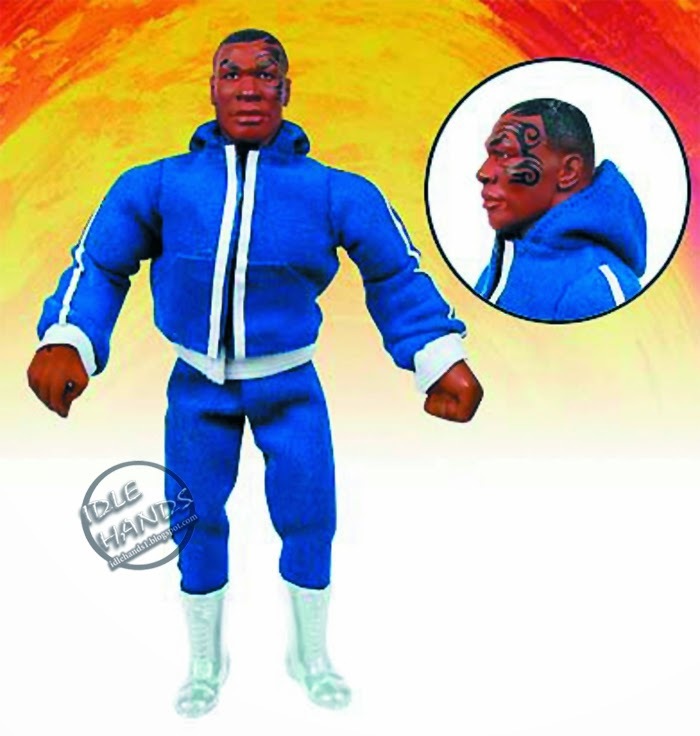 will debut a Mike Tyson Mysteries Mike Tyson with Boxing Gloves 8-Inch Action Figure Convention Exclusive at San Diego Comic-Con 2014, July 23-27, at the Entertainment Earth booth (2343). In Mike Tyson Mysteries, Mike Tyson is taking the fight from the boxing ring to the streets ... by solving mysteries! Aided by the Mike Tyson Mystery Team - the Ghost of the Marquess of Queensberry, along with Mike's adopted Korean daughter and a pigeon who was once a man - Mike Tyson will answer any plea sent to him. If you have a problem that needs solving, Iron Mike is in your corner. The series incorporates live-action appearances featuring Mighty Mike himself, and the gloves come off as the former heavyweight champ and his team gear up for weekly adventures as they put unsolved mysteries down for the count. The series stars Mike Tyson, Norm Macdonald (Saturday Night Live), Rachel Ramras (MAD) and Jim Rash (The Way Way Back, Community). 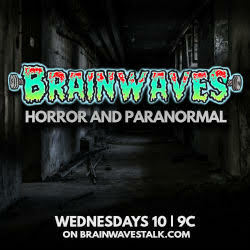 This latest partnership between Bif Bang Pow! and Warner Bros. builds upon the companies' existing partnership for products based on The Big Bang Theory, network television's most-watched comedy among Total Viewers and #1 entertainment series among Adults 18-49. "We're truly excited to expand our partnership with Warner Bros. Consumer Products and appreciate the opportunity to work with great licenses like The Big Bang Theory, and now Mike Tyson Mysteries," said Jason Labowitz, President, Bif Bang Pow! "The Bif Bang Pow! creative team has come up with some fun new designs that avid fans and collectors will enjoy."